Playful exercise is not just about fun and games. One new exercise trend can make you feel like a kid again. 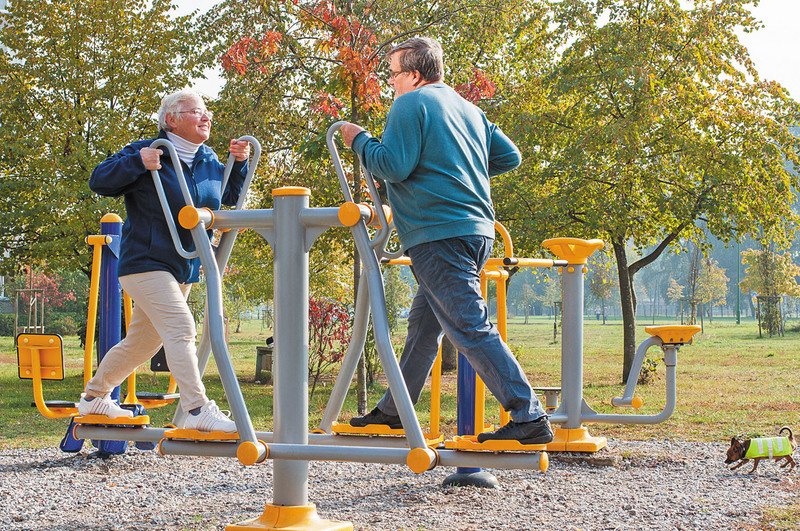 Multigenerational fitness parks are cropping up across the United States. These parks typically include a large child-focused structure with places to climb, slide, swing, hang, and jump. There may also be walking paths and places for interaction between older and younger people, such as seating and picnic tables painted with tabletop games (like checkers). Sounds like a regular park, right? What's different is that the playground equipment is often adult-friendly: swings are sturdy and roomy; slides are wide, with gentle slopes; and seesaws have ergonomically designed seats that are easy to sit on. The equipment makes it possible for adults to play alongside their kids or grandkids or other children. Feeling depressed? Step away from it and do something else. Try a medium- to high-intensity workout like a brisk 30-minute walk, an aerobics class, or a game of tennis. The more friends you invite, the better. Focusing on others helps prevent self-defeating thoughts.